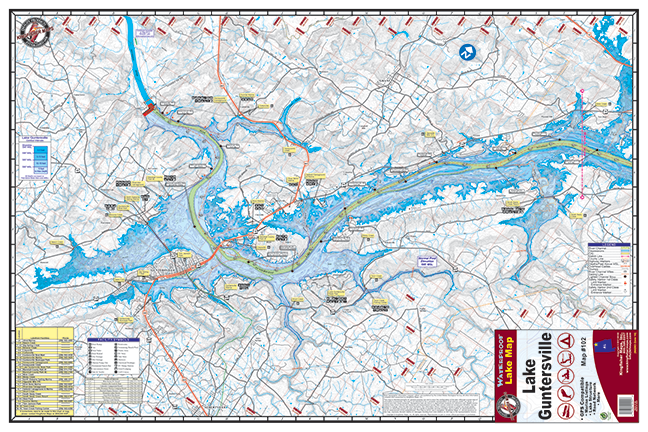 Guntersville #102 – Kingfisher Maps, Inc.
Two-Sided Waterproof & Tear Resistant Map. 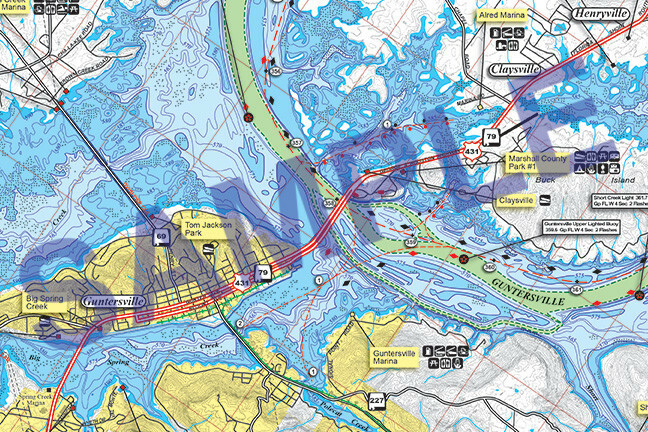 The map is 24″ x 36″ with a scale of 1:50,000. The map includes 5 foot contour intervals, marina listings, access areas, bouys, sailing lines, and more! 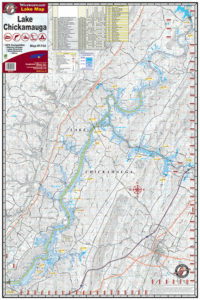 Lake Guntersville Two-Sided Waterproof & Tear Resistant Map. 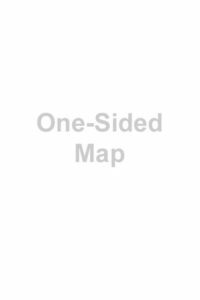 The map is 24″ x 36″ with a scale of 1:50,000. 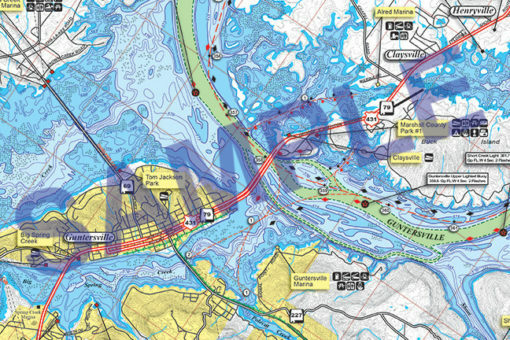 The map includes 5 foot contour intervals, marina listings, access areas, bouys, sailing lines, and more! Guntersville Lake (generally referred to locally as Lake Guntersville) is located in north Alabama between Bridgeport and Guntersville. 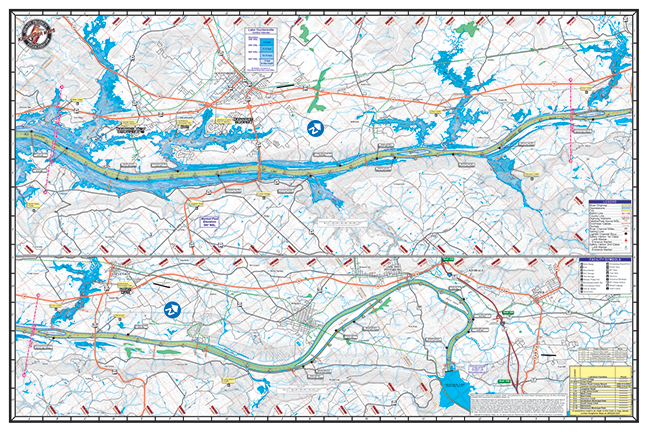 Created by Guntersville Dam along the Tennessee River, it stretches 75 miles from Guntersville Dam to Nickajack Dam. It is Alabama’s largest lake at 69,000 acres.